How did the Bahnhof Rolandseck come into being? Which famous personalities visited the station? 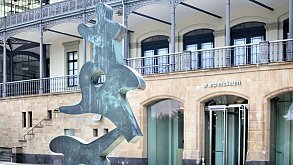 What role did the Bonn-based gallerist Johannes Wasmuth play in the rescue of the Bahnhof Rolandseck and how did the collection of Hans Arp and Sophie Taeuber-Arp come to Rolandseck? How was the modern building by Richard Meier built? When did the Sammlung Rau for UNICEF arrive in the Arp Museum? The following section will provide the answers to these and many other questions. How did the Bahnhof Rolandseck come into being? The answer lies in the history of the Rhine Valley. During the nineteenth century the Rhine and its mythical landscape was one of the most popular travel destinations in Germany. As a place to live, the region was highly desirable too: industrialists from Cologne, Düsseldorf, Krefeld and the entire Ruhr region built residences here and enjoyed the romantic landscape, which was known as the "Riviera of the Rhineland". This development was encouraged by technical progress, especially by the construction of the first railway connections. At the end of 1825 the world's first railway was inaugurated in England. Only thirty years later, steam locomotives arrived in Rolandseck as well: In 1856 the privately owned Bonn-Cölner-Eisenbahngesellschaft extended its route from Cologne via Bonn-Bad Godesberg to Rolandseck. Time-wise this represented a quantum leap for travellers coming to spend their summer holidays by the Rhine: the travelling time from the Ruhr region to Rolandseck was reduced from a whole day's travel in a carriage to four hours by train. The enthusiasm for this most modern form of transport at the time was reflected in a magnificent railway reception building. The choice of location for the station fell on Rolandseck because of its unique situation directly in the vicinity of the legendary Rolandsbogen. The view of the Siebengebirge mountains and the Drachenfels corresponded entirely with the Romantic ideas of the second half of the nineteenth century. The construction of the Neo-Classical station building began in 1856. Completion followed in 1858. 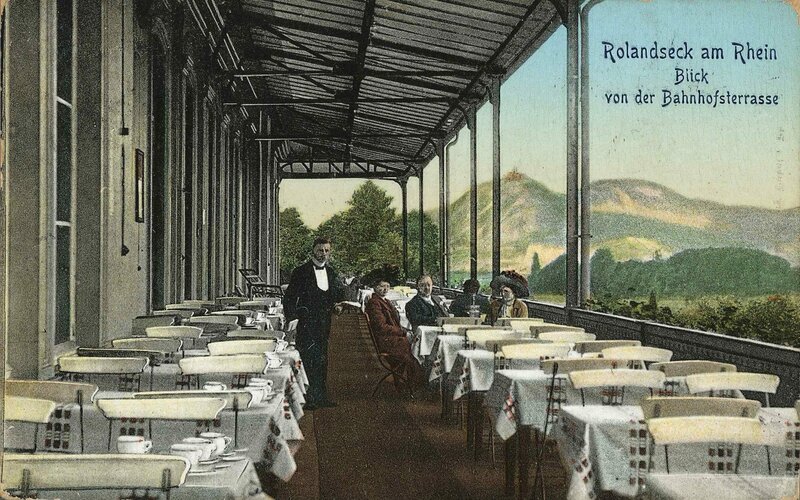 Rolandseck station became the meeting place for bourgeois society, who liked to spend time and hold celebrations here. During the Empire and up until the Second World War numerous personalities from society, politics and culture visited the station. Among the visitors were Queen Victoria of England, Emperor Wilhelm II and Chancellor Bismarck. 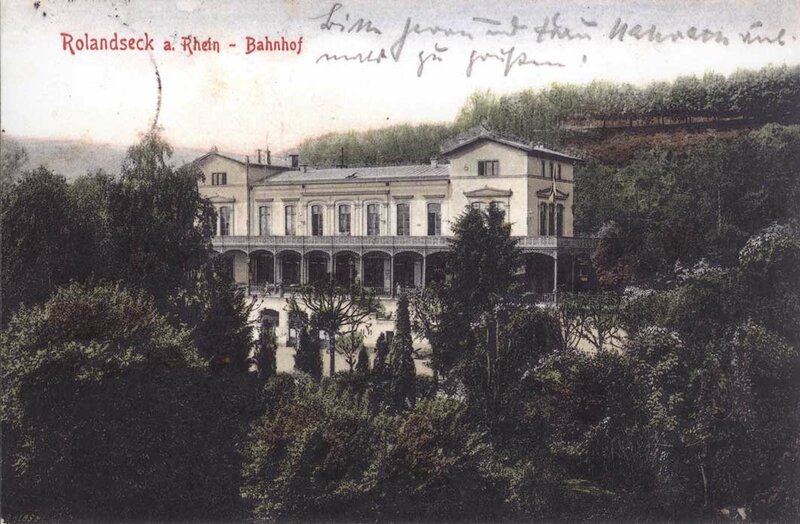 Famous artists like Heinrich Heine, Karl Simrock, the Brothers Jacob and Wilhelm Grimm and Friedrich Nietzsche visited the Bahnhof Rolandseck. Johannes Brahms and Clara Schumann gave concerts here. George Bernard Shaw set the scene of one of his plays in the station and Guillaume Apollinaire composed many of the poems that he wrote in Germany at Rolandseck. 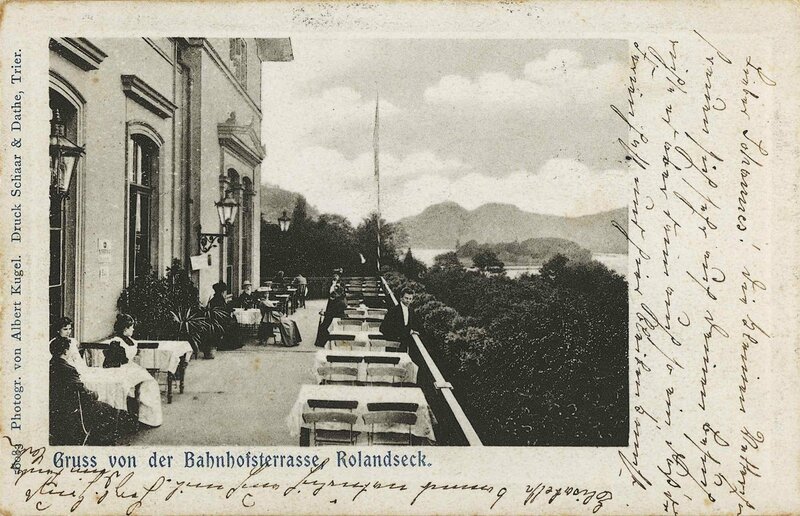 In 1930 there were 39 hotels in Rolandseck. After 1945 Rolandseck lost its importance as a location and excursion destination. But why did that happen? After all German cultural property had been confiscated by the National Socialists, Rhine Romanticism was seen as a traditionally German topic with Prussian undertones and hence was associated with negative "feelings". Moreover, regional tourism declined during the postwar years. People's main concern was to face the challenges of the reconstruction of the company under the occupying forces. Until the upswing in the mid-1950s the station was largely forgotten. The once-so-magnificent station building beside the Rhine became increasingly dilapidated and was finally threatened with demolition. Shortly before the planned demolition took place in 1964, the Bonn-based gallerist Johannes Wasmuth (1936 – 1997) discovered the station. He took over the abandoned and ramschackle building and began to realise his dream of a place dedicated to art. 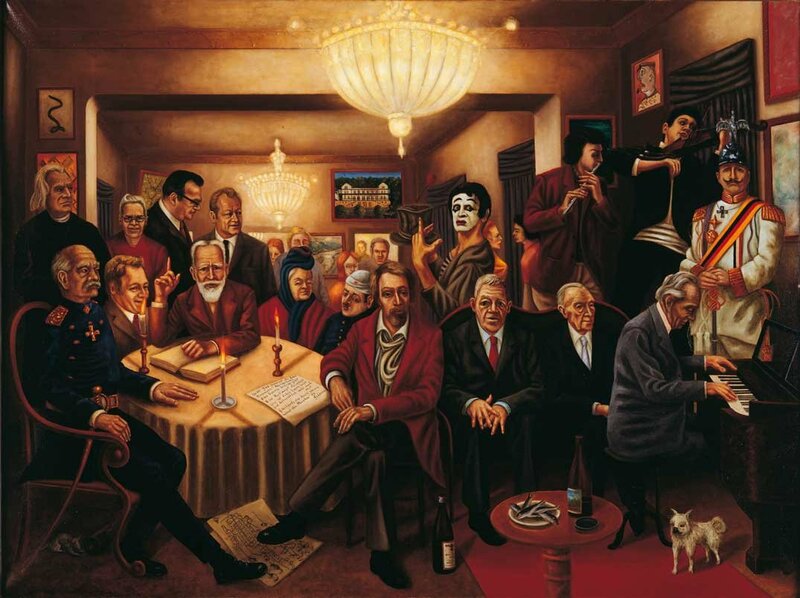 He found the support of numerous prominent friends and artists. Together with the pianist Stefan Askenase and Yaltah Menuhin, the sister of violinist Yehudi Menuhin, in 1965 Wasmuth founded the "arts and music" society. With its help he created opportunities for young artists from all fields of art to perform and work in the station. In the following years some of the rooms in the station building were converted into studios and living accommodation. Here artists could live and work free of charge for longer periods. One of the first guests was the British artist Stephen McKenna. He decorated the station toilets with eccentric motifs, thereby leaving a lasting memorial to the years of the »Künstlerbahnhof« under the Bonn Republic. From now on a varied programme was presented in the artists' station: small but exquisite exhibitions, concerts and lively artists' parties. 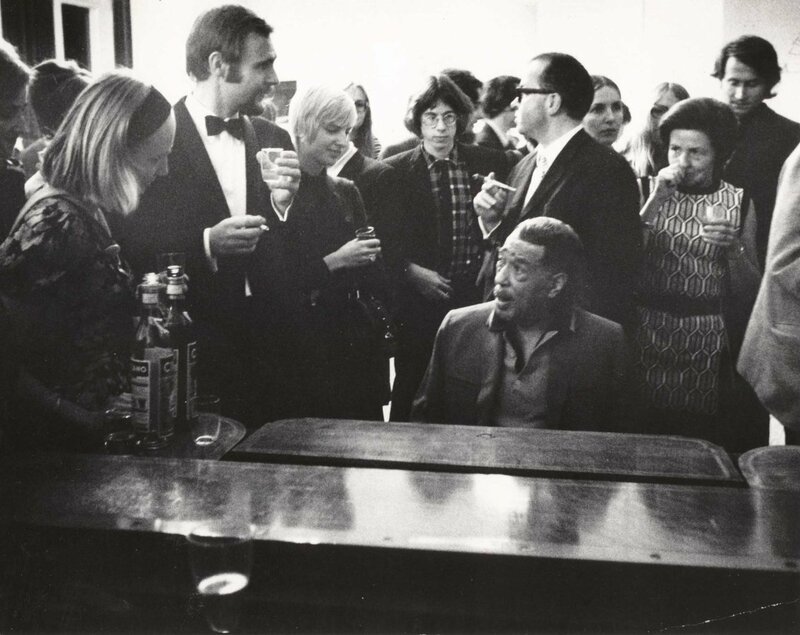 Martha Argerich, Leonard Bernstein, the Russian pianist Elisabeth Leonskaya and Sviatoslav Richter, Marc Neikrug and the Reinhard gypsy band as well as the jazz star Duke Ellington. They all performed in Rolandseck. 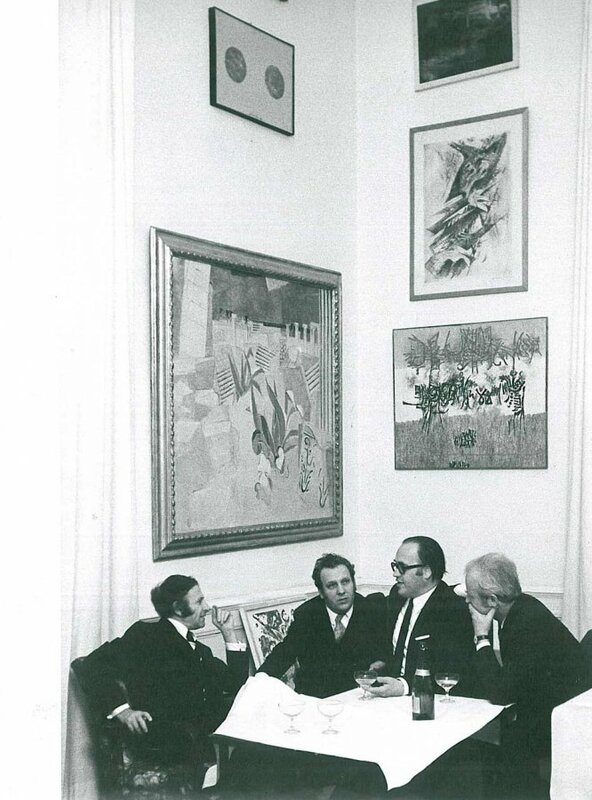 Fine artists like Gotthard Graubner, Sigmar Polke, Gerhard Richter and the members of the Zero artists' group were frequent guests. In particular the results of the close relationship between Günther Uecker and Johannes Wasmuth are still on view today: the artist gave expression to this friendship in the installation »Nagelbett« (»bed of nails«), which he created for his friend and which today forms part of the art collection in the Arp Museum Bahnhof Rolandseck. 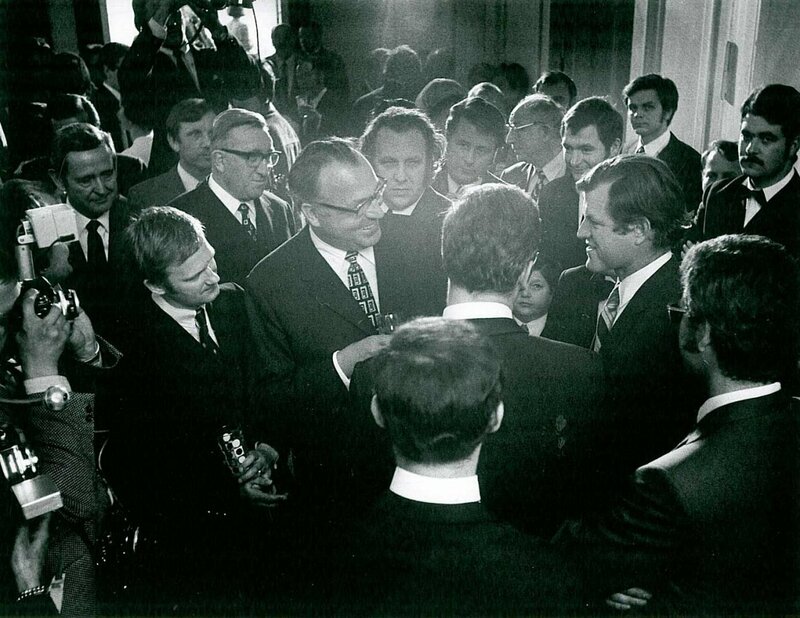 The most important event in the recent history of the Künstlerbahnhof occurred in June 1969. Johannes Wasmuth found it difficult to finance his ambitious cultural programme at Rolandseck, and organised a celebration to save the station. Some 600 guests were invited; more than 3,000 came. The event had been preceded by a passionate manifesto by the famous French pantomime artist Marcel Marceau, in which he demanded the retention of the station as a place of art. 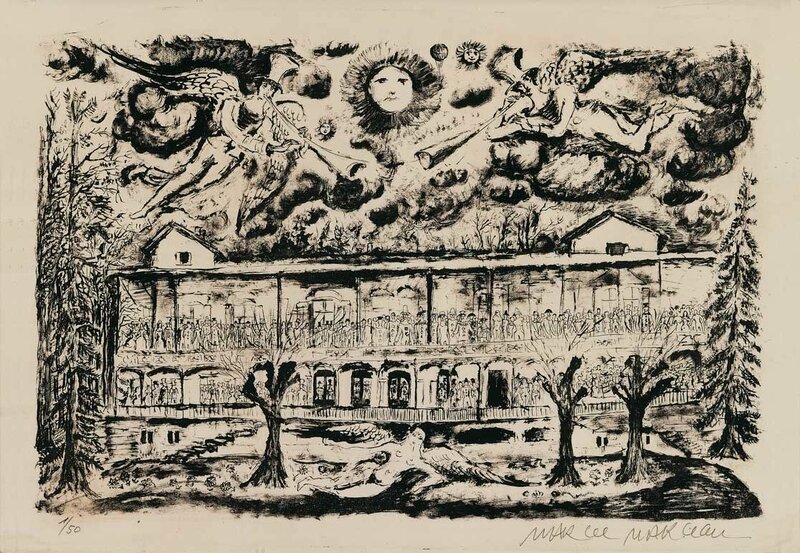 In the manifesto Marceau invoked a »Universe of Rolandseck ( ... ) Here an enchanted world will unfold, and its magic will be aroused in us. Bahnhof Rolandseck will be the theatre in which all the arts are united in order to create something miraculous ( ... )«. 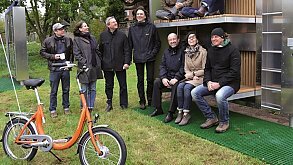 Thie action and the manifesto were supported by many artists and had an effect: during the celebration Helmut Kohl, the prime minister of Rhineland Palatinate at that time, handed over a »rescue certificate« to the people who had created the station. In it he guaranteed that the station would be maintained. In spite of the private and artistic commitment, during the early 1970s once again the continued existence of the station was threatened by financial problems. In order to create a reliable basis for future work, in 1973 the Land of Rhineland-Palatinate established the Stiftung Bahnhof Rolandseck. Since then the foundation has ensured the maintenance and continued operation of the station and has provided subsidies for cultural activities. In 2008 the foundation was transferred to a new sponsoring body. 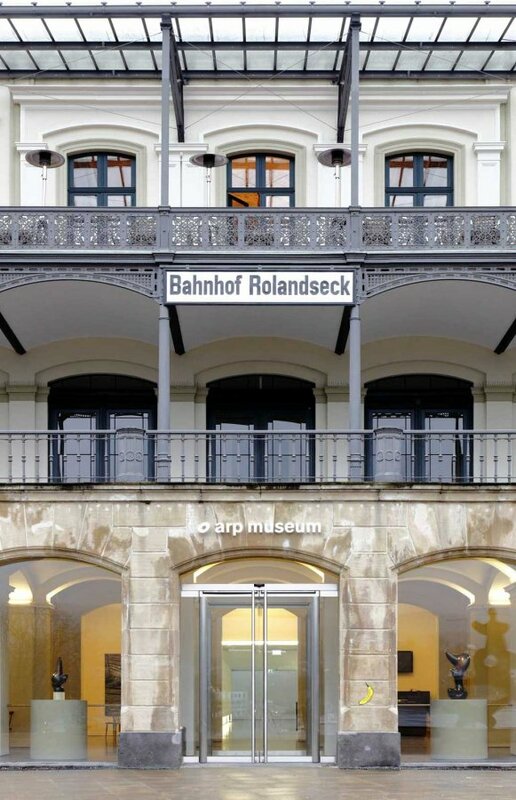 Since then the Landes-Stiftung Arp Museum Bahnhof Rolandseck has guaranteed the museum's operation through financial support from the Land of Rhineland-Palatinate and the Stiftung Rheinland-Pfalz für Kultur. Johannes Wasmuth had been acquainted with the Arp family since 1959. Arp's second wife and widow Marguerite Arp-Hagenbach transferred part of the estate to him in 1977. This became a mission in life for the man who rescued Bahnhof Rolandseck. 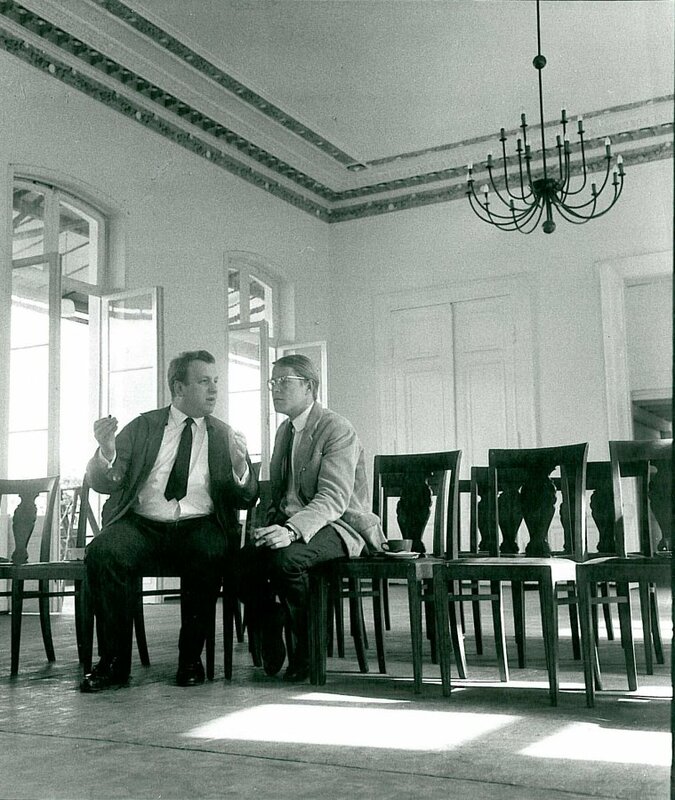 One of the most important artist duos of the twentieth century gave the museum its name. But how did the Arp Collection come to Rolandseck? And what is the link between the Arps and this little place? Wasmuth established a private association in order to administer the estate. In this way Rolandseck came into the possession of a considerable collection – but the station, in which the works were exhibited over the following years, soon proved too small to present them adequately. Another important factor in the development of the present-day Arp Museum Bahnhof Rolandseck was the fact that Johannes Wasmuth was acquainted with the architect Richard Meier. Wasmuth met the American for the first time at the end of the 1970s in Frankfurt. 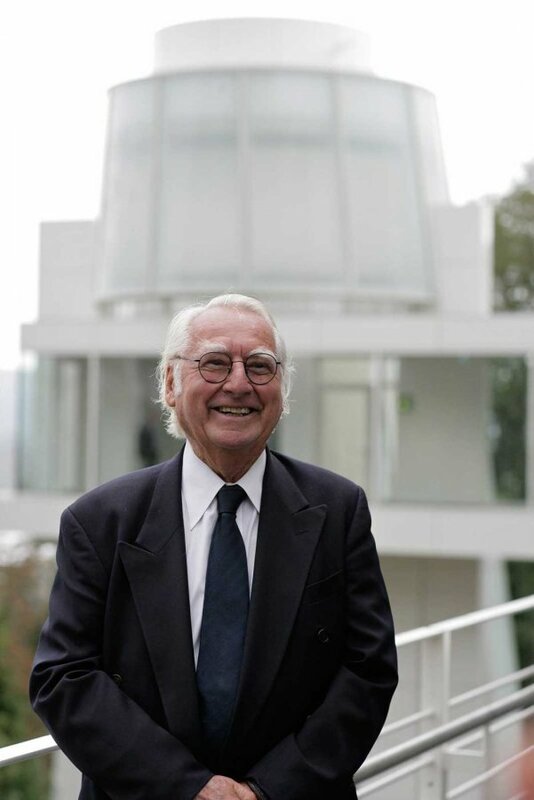 Richard Meier had been commissioned with the building of the Frankfurt Museum for Decorative Arts. Together they developed plans for a museum which was to be dedicated to the art of Hans Arp and his wife Sophie Taeuber-Arp. Richard Meier demanded of Wasmuth: »Let's make something special Hans Arp would be proud of!« They had a number of spectacular ideas. However, they lacked the financial means for their realisation. When Wasmuth died in 1997 the plans had still not been carried out. It was only when the Federal Government moved from Bonn to Berlin and funds were available in the form of the Bonn-Berlin compensation fund as well as money from the Land of Rhineland Palatinate that the financing of these ambitious plans could be secured. The Arp Museum Bahnhof Rolandseck was founded in 1995 and the station building was renovated at great expense. The foundation stone for the new building on the heights overlooking the Rhine was laid in October 2004. Scarcely three years later, on 28 September 2007, the museum complex was opened by Federal chancellor Angela Merkel. The decision is reached to construct the Arp Museum on the heights above the Rhine above Bahnhof Rolandseck. The American architect Richard Meier is in charge of its construction. Johannes Wasmuth had established contact with Richard Meier at the end of the 1970s. Photo: Wasmuth und Richard Meier? Meier's first sketch for the new building is not accepted by the sponsors of the project. This design proposes a bridge from site of the station to the planned new building on the heights above the Rhine. The rejection entails a great deal of re-planning and leads to considerable delays. Richard Meier presents his new plans outlining the present-day implementation of the Arp Museum. The foundation stone for the Arp Museum is laid in October. The topping-out ceremony for the Arp Museum Bahnhof Rolandseck takes place in October. 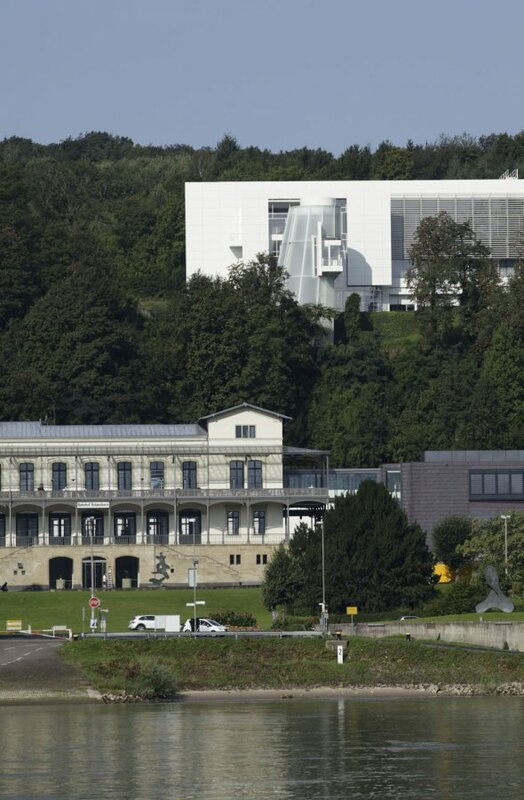 On 28 September the Arp Museum is dedicated in an official ceremony in the presence of Federal Chancellor Angela Merkel, the Prime Minister of Rhineland-Palatinate Kurt Beck and the architect Richard Meier, and is then opened to the public on 29 September. The total costs of the new building, planned by Richard Meier and constructed over a period of about three years, amounted to € 25.4 million. The federal goverment contributed € 17.6 million within the framework of the Bonn-Berlin compensation and the Land of Rhineland-Palatinate contributed € 7.8 million. Before this the Land of Rhineland-Palatinate provided funds amounting to € 7.4 million for the exhaustive renovation of the old Bahnhof Rolandseck and to make it suitable for museum use. 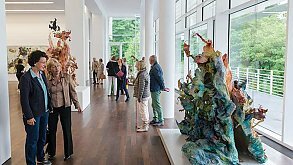 Since its opening in 2007, the art of Hans Arp and Sophie Taeuber-Arp is shown according to changing themes as a permanent exhibition on the upper floor of the new building. On the ground floor of the new building and in the station, changing exhibitions of contemporary international art are on view. 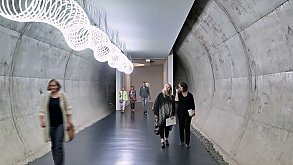 Cultural historical exhibitions with a regional focus and solo exhibitions by the artists of the Remagen Riverside Sculpture Park also find a worthy stage in the station. Sylvia Claus / Matthias Schirren / Oliver Kornhoff (Hg. ): Building as Art. Richard Meier 2012. Gisela Götz / Oliver Kornhoff (Hg. ): Perlen der Rheinromantik 2011. Oliver Kornhoff (Hg. 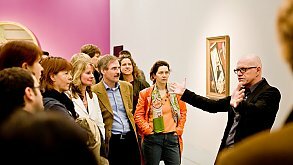 ): Kunstgeschichten: Die Sammlung des Arp Museums Bahnhof Rolandseck 1987 - 2009, 2009. Klaus Gallwitz (Hg. ): Arp Museum Bahnhof Rolandseck - ein Museum und seine Geschichte 2008.